Carla Birnberg is an award winning author and fitness expert. A onetime personal trainer, she owned a boutique training studio, Head2Heel, in Chapel Hill, N.C.
Carla also competes in both bodybuilding and fitness including a third place finish in the 2001 NPC House of Pain bodybuilding show. Her writing can be seen on Yahoo!Shine, in the Atkins Nutritional monthly newsletter, Experience Life Magazine, Austin Monthly Magazine and as a monthly health column in Good Life Magazine. Carla and author Shauna Reid co-host the podcast: Two Fit Chicks & A Microphone and she can also be heard as a regular guest on the popular podcast: Dr. Fitness & the Fat Guy. Carla is also the author of the book, The Whole Megillah: Miztvahs, Matzo Balls & Everything in Between (Bluegrass Publishing, May 2007). Carla writes for the Austin American Statesman. Her work there includes feature stories and two advice columns targeted toward elementary school aged and tweens. She’s also the author/creator of the Twisted Tales serial for which she won an award for creativity from Cox Newspapers. Carla’s blog, MizFitOnline, has been selected to serve as part of Oprah’s Virtual Digital Blogging Network and is ranked by Austin Monthly Magazine as one of the top 3 health blogs in the city. Carla attended Kenyon College (B.A. English Literature) and the University of Pittsburgh (M.Ed. focus on counseling). Molly Gold has been active in the Mom Market for more than 10 years as an innovative product maker and nationally recognized Family Time Management and Home Organization Expert. 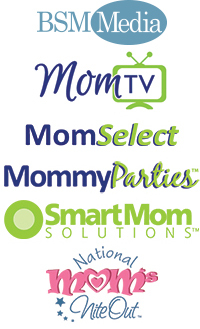 Her company is GO MOM!® Inc and truly is the every mom brand, offering useful scheduling and organizing solutions through innovate products and services. She strives to help moms make positive mothering a daily reality through educating them not only about our offerings, but how to personalize solutions for their own family and actually make our products work to improve the chaos in their every day lives. You can find Molly active online at GO MOM!® Inc. internet property, www.GOMOMINC.com. Considered one of the most respected women on Wall Street, Marianna earned her money the old fashioned way – with hard work. She began as a New Jersey teenager juggling three jobs and today manages a financial business while living her life to the fullest. Now Marianna reveals the lessons she learned on her own road to success and the savvy strategies of other amazing women. She shows how to let go of stress, break your bad money habits, take control of your finances, and finally achieve your goals and a happier, richer life. As the founder and CEO of Madison Financial Management LLC, a broker-dealer and hedge fund marketing company, she grew Madison into a multi-million dollar business. Before this, Marianna worked with several financial institutions including IBM Pension Fund and Bloomberg Financial Markets. 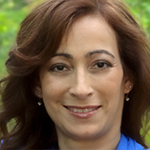 Marianna has an MBA in International Finance from Fordham University and a BS in Finance from Rutgers University. 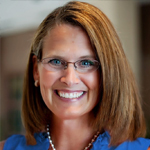 A popular speaker at conferences across the country, Marianna is also active in many charitable and art organizations. She lives with her family in Miami and New York City. Kim Orlando is the founder of TravelingMom, the nations top Website and Blog Network dedicated to improving, inspiring and empowering the travel experience of moms everywhere in the world. As a top media source on moms who travel, she has been featured in leading newspapers and publications, including Forbes.com, CBS News Blog, BetterTV.com and the Montel Williams Show. Kim lives in Connecticut and is happy to be sharing her love of travel with her three young children. The TravelingMom Blogger Network boasts a select group of professional writers who each share a unique travel perspective including a Pulitzer-nominated writer, a former sports writer and top syndicated blogger and the World’s Fastest Talking Female. Their blogger names say it all: TravelingAdventureMom, Gringa Traveling Mom, Business TravelingMom, TravelingBlack&WhiteMom, TravelingSingleMom, and many more. Harley Rotbart, M.D. 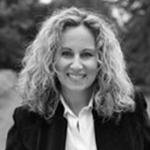 is a nationally-recognized parenting expert, author, speaker, and educator. 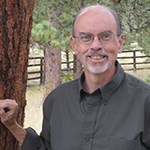 He has been a Pediatrics specialist for the past 30 years and is Professor and Vice Chairman of Pediatrics at the University of Colorado School of Medicine and Children’s Hospital Colorado. The author of more than 175 medical and scientific publications, he has also written three bestselling books for parents and families. His most recent, No Regrets Parenting – Turning Long Days and Short Years into Cherished Moments with Your Kids(Andrews McMeel Publishing, 2012), was the featured cover story in Parents magazine (March, 2012); editor-in-chief Dana Points wrote, “Dr. Rotbart’s book turned my head around.”The book has also been endorsed by presidents of the American Academy of Pediatrics, the American Academy of Family Physicians, and parenting experts worldwide. Dr. Rotbart has been named to Best Doctors in America every year since 1996, as well as receiving numerous other national awards for research, teaching, and clinical work. He serves on the Advisory Boards of Parents Magazine and Parents.com and is a regular consultant to ABCnews.com. Dr. Rotbart regularly speaks to large national audiences of parents, school, and youth sports organizations, as well as to community groups around the country, and national professional organizations of physicians, nurses, and allied health professionals. His broad platform as a parenting and children’s health authority has been enhanced by his many media appearances on national TV, radio, print, online and mommy blogs. In addition, Dr. Rotbart recently participated in two children’s health satellite media tours with former American Idol finalists (Brooke White, 2009; Danny Gokey, 2010). Really. That American Idol. Dr. Rotbart and his wife, Sara, are the parents of three kids, ages 19-24, on whom he continues to practice what he preaches. 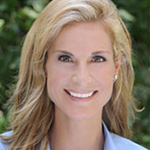 She’s a featured expert on numerous websites, a popular radio guest, is quoted regularly in print and online, was recently featured as a successful “career-at-home-mom” in three new books and serves on the Advisory Board for the National Institute of Whole Health, The National Association of Home Based Business Moms, The Leadership Council of Conscious Entrepreneurs and Angels for Obesity-a school based project designed to reduce the incidence of childhood obesity. Debi’s also a busy working mom with 4 kids and 4 dogs! 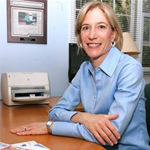 Dr. Daisy Sutherland is the founder and CEO of Dr. Mommy Online/Dr. Mommy & Friends.She is a Doctor of Chiropractic, Internationally Acclaimed Author, Speaker, Health Expert, Social Media Brand Specialist, wife and mom to 5 children. Dr. Sutherland’s mission has and continues to be to educate, empower and encourage women to live happier and healthier lifestyles. Dr. Sutherland created Dr. Mommy in 2007 and came online to continue her mission of empowering and motivating women through her writings and involvement in social medias. Her site, Dr. Mommy Online was recognized as one of Forbes Top 100 Websites for Women as well as #3 in Forbes Top Ten Parenting Sites. Stephanie Nelson hosts the website, Coupon Mom, the only site in its category that is free to users, CouponMom is the largest grocery savings website on the Internet and has over 2 million members. Nelson holds a degree in finance and has ten years of experience in sales and marketing with both Procter & Gamble and Marriott Hotels. Stephanie lives with her husband and two sons in Atlanta, GA.